LOTS OF POTENTIAL!!!! Investors welcome!!! 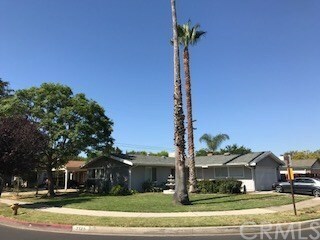 This West Hills home has 3 bedrooms, 2 baths, 1,153 sq ft of living space and sits on a corner lot of 7,392 sq ft. and is going to make a great home for the right family. The seller is in the process of fixing it up, but if you hurry you can make it your own and save some money. This home has great bones, Central air and heat, Dual pane windows and sliders, A fireplace in the living room, Fans in the bedrooms and living room, A 100 Amp electrical panel, Large yard with room for a pool that can be made into a nice oasis for those summer bbq's. It has laundry hookups inside the kitchen, a two car garage with direct access to the house, RV parking and access, Walking distance to Enadia Way Charter School. Don't wait, bring your family and your imagination and this home could be yours. I look forward to hearing from you.